Though not the most exciting type of sign, ADA signs and braille signs are a necessary and important part of doing business in the United States. As part of the Americans with Disabilities Act of 1990, it became a requirement for all commercial buildings to post appropriate wayfinding and room identification signage. 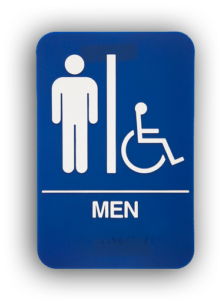 Over the years, Denver Print Company has helped many businesses with their restroom signs, stairwell signs, exit signs and more. We would be delighted to help you too. * A room with a permanent function, such as . . .
* Architectural structure, or directions through a building. For example . . .
We know that you have better things to do with your time than to research all of the ADA sign requirements. Let Denver Print’s sign experts handle all of the logistics for you. 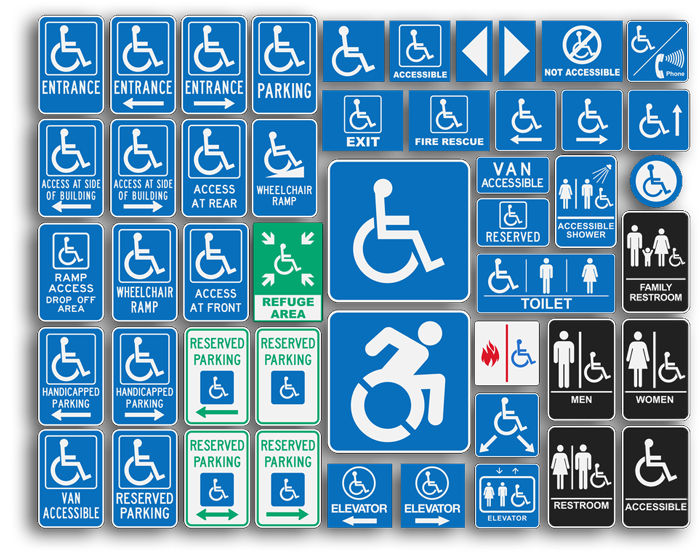 We can come to you building or office to evaluate the space and tell you exactly what ADA signs you will need. While most ADA signs are required to include braille, not all braille signs are ADA signs. Sometimes, braille signage is not legally required but is simply for the benefit of your visually-impaired customers. With these types of signs, we can use any type of design. Denver Print Company has the experience and resources to create any type of braille message that you need.